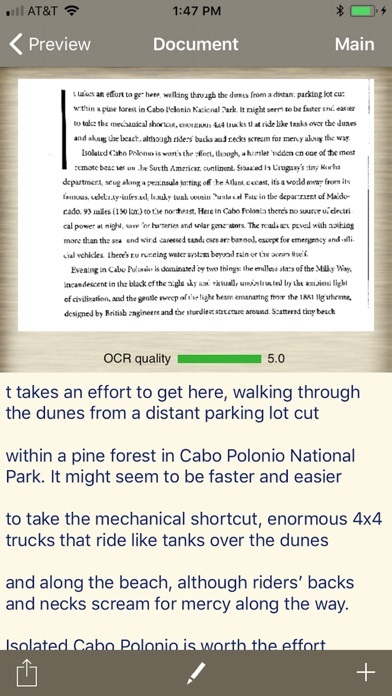 Perfect OCR gives you both an accurate general purpose OCR app and a quality document scanner. 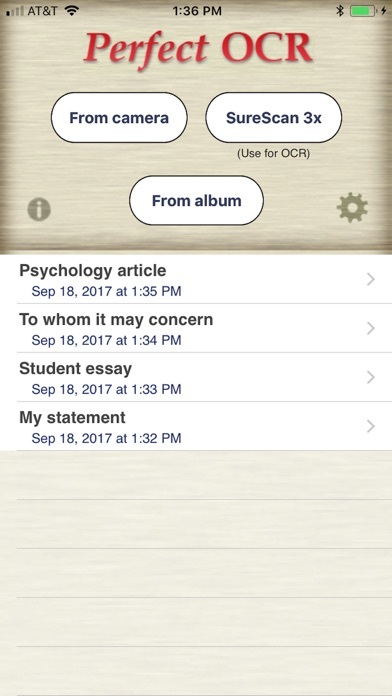 Now you can scan and OCR your letter-size or A4 documents with an accuracy of 90% or more, edit, copy and store the recognized text, and e-mail your documents as PDF files with text, SINGLE page image, or both together! NOTE: To ensure the advertised results it is important that you follow the OCR TIPS below (or in the app's help). "It worked great for me! I translated a whole story in spanish using the espanol language preference and then I copied and pasted it into a translator to get the whole story in English!" "This app is really very good and I find it to be very accurate!" 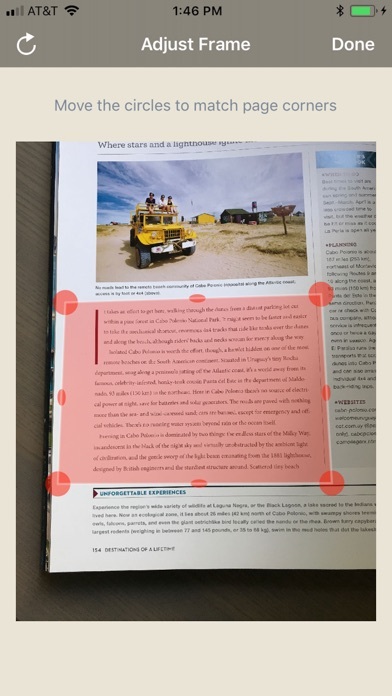 Perfect OCR scans your documents using advanced image-processing algorithms to eliminate uneven lighting and shadows and improve contrast. The result is the clearest and most readable scans possible from the iPhone's camera. Perfect OCR also offers SureScan, our proprietary scanning mode that delivers sharper images with less jitter or smear. 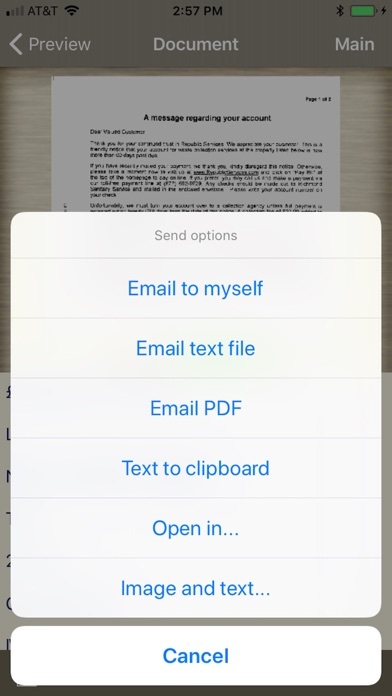 Our unique "Email to myself" feature lets you send documents to a predefined address, or even upload them to an online storage service like Evernote or Box.net, with a single tap. Uploading documents to online services via email is fast, secure, and can be done even if you're temporarily off line. Refer to app help for details. All processing happens on your iPhone, and the confidentiality of your data is never compromised. There is also no subscription fee, and no Internet access is needed to scan documents or run OCR. • OCR languages: English, French, Spanish, German, Dutch, Italian, Portuguese, Swedish, Russian, Polish, Hungarian, Czech and Ukrainian. • Make sure your document is flat and well lit. Hold your iPhone still while shooting. • Always scan documents using "SureScan 3x" mode. • Glossy paper may not work well (avoid glare). 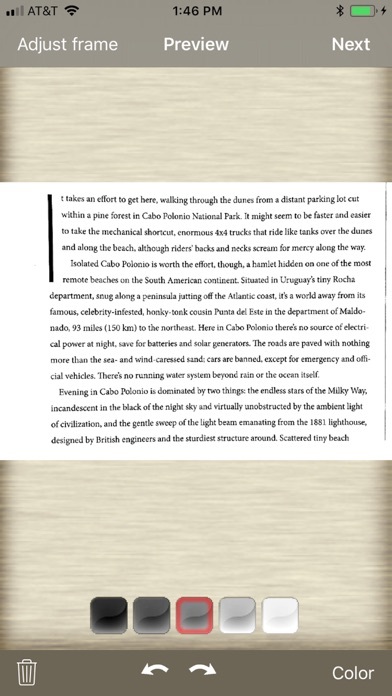 • When scanning books keep the pages as flat as possible and your iPhone parallel to the surface. • Perfect OCR cannot recognize handwritten, very large text or spreadsheets correctly. • Make sure to select the right language for OCR in app settings. We're constantly improving Perfect OCR, and we value our customers' opinions and feedback. Please contact us at support@turboscanapp.com. If you have a problem with our software, please contact us before submitting a comment to the app store. We can solve most of the problems, but we cannot respond to comments. Email composer button color issue is fixed. Added four more OCR languages: Polish, Hungarian, Czech and Ukrainian. Other Apps by Piksoft Inc.